Blended learning has taken the place of factory-style education. This new educational model combines traditional face-to-face education with online learning opportunities in the form of e-courses and collaborative projects with peers and subject matter experts. Advocates of blended learning say that it is less restrictive, more authentic, and offers greater flexibility. But how to do educators in school districts with limited edtech budgets, take advantage of blended learning. The answer is Google Classroom. 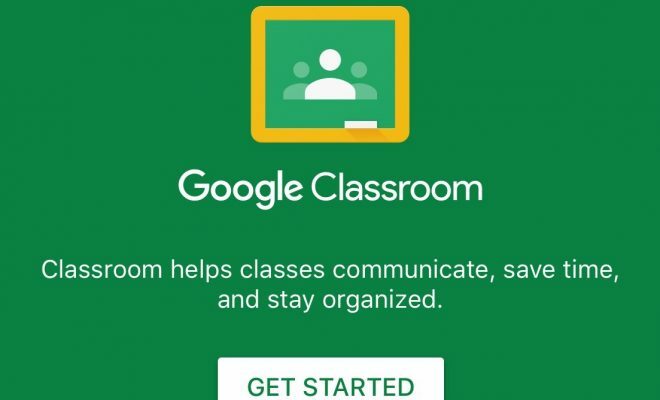 In this article, we will discuss how Google Classroom can support blended learning in the classroom a not cost. Blended Classroom – Create a blended classroom where students have access to digital resources and traditional classroom learning. Buddy Edit – Assign partners for a buddy edit on essays, research papers, and summaries. Documents can be shared with buddies. Capstone Project – Use Classroom to coordinate a capstone project that can serve as the culminating learning activity for students exiting middle school, high school, undergraduate studies, graduate studies, etc. Course Evaluations – Google Classroom can be utilized to send out course evaluations to students at the end of the year. Create and Facilitate Online Discussions – Teachers can easily create and facilitate online discussions by creating a question on the Classwork tab. Distribute Notes – Distribute class notes in Classroom instead of spending time having students copy notes. Distribute Student Work/Homework – Use Classroom to distribute student assignments or homework to all students, groups of students, or individual students. Email Students – Email students directly from the People tab in Classroom by clicking on the triple dot menu next to the student’s name. Students can also be emailed by going to the student’s work summary and choosing the envelope. Flipped Classroom – Use Classroom to create a flipped classroom for your students. One Place for All Files – All Classroom files are kept in one place in Google Drive. Each time a Classroom is created, Google automatically creates a Classroom folder. Provide Feedback – Provide feedback to students through the grading tool, comment bank, or private comments. Quizzes – Create quizzes using Google Docs, Forms or third-party apps. Return Student Work/Homework – Return student work or homework to students with one click. Video Galleries – Create video galleries for students using YouTube and Classroom. Can you think of additional ways that teachers can use Google Classroom to support blended learning?